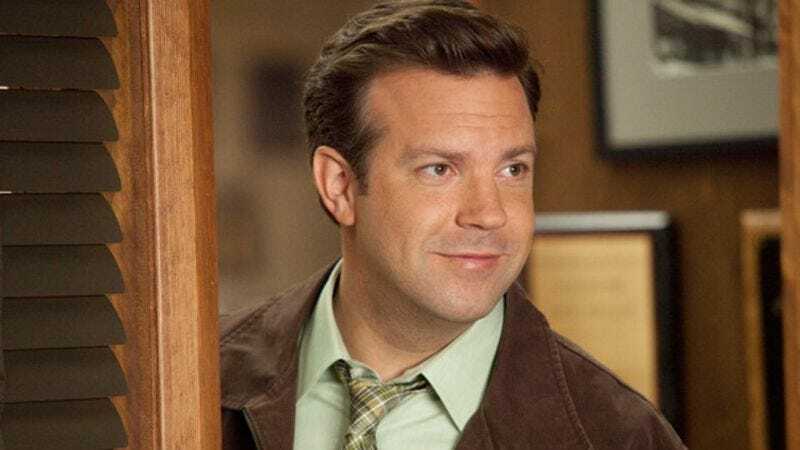 According to Deadline, Jason Sudeikis, Cheryl Hines, Tim Meadows, and It’s Always Sunny In Philadelphia’s Artemis Pebdani have joined Fox’s Son Of Zorn (née Son Of Zahn), the hybrid live-action/animated comedy about a barbarian struggling to adapt to life in the suburbs. As we’ve previously reported, the series comes from Phil Lord and Chris Miller, and it’s going to star 21 Jump Street’s Johnny Pemberton as the eponymous son of Zorn. Sudeikis will be playing Zorn, Hines will be his ex-wife, Meadows will be Hines’ new boyfriend, and Pebdani will be Zorn’s boss. From what we understand, all of the characters will be live-action except Zorn, who will be a cartoon, meaning all of those previously mentioned actors will physically appear in the show except for Sudeikis. The whole thing sounds a little confusing, and it’ll probably remain confusing until we actually see what Son Of Zorn looks like in action.